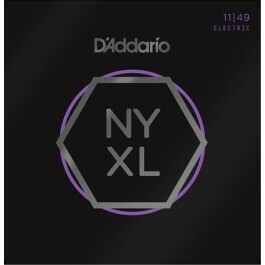 The D'Addario NYXL Strings are a hybrid gauge for electric guitar. 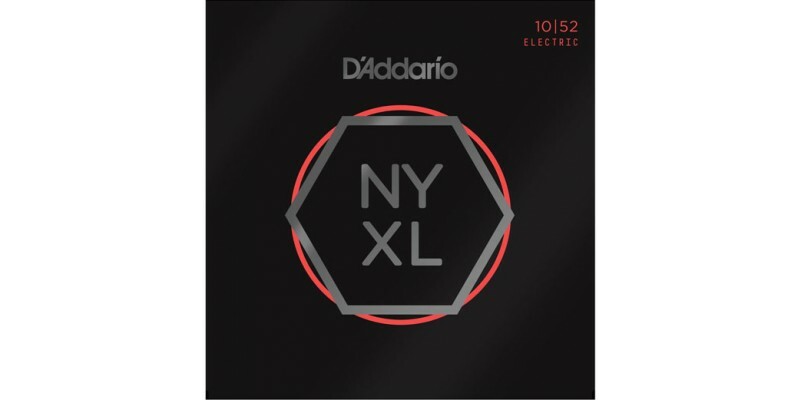 The D'Addario NYXL11055 are an 10-52 pack. 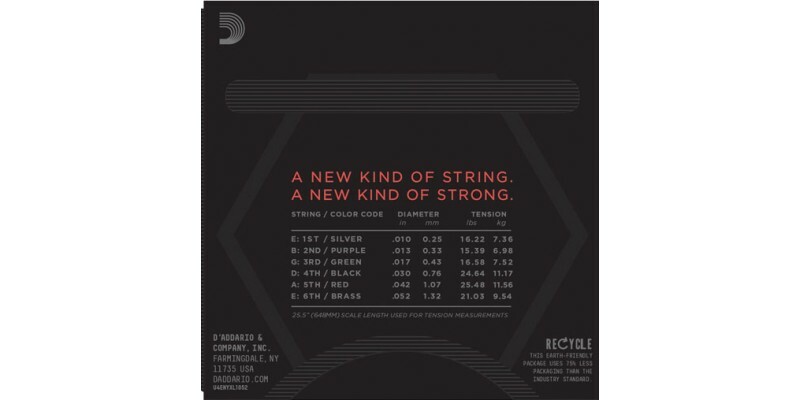 Delivering a massive sound with increased strength. You can buy these in our Glasgow shop and online. Fast UK delivery. 10-52 Gauge NYXL1052. Pack of 6 D'Addario NYXL Strings. With one hundred and thirty one percent better tuning stability it's a major improvement. The NYXL1052 are a hybrid set. The D'addario NYXL strings are stronger than a standard pack. It means you can hit them harder. According to tests they are twenty to forty percent tougher. It makes then great for bending. Even when you are really pushing it two steps higher they are at less than seventy five percent of their breaking point. 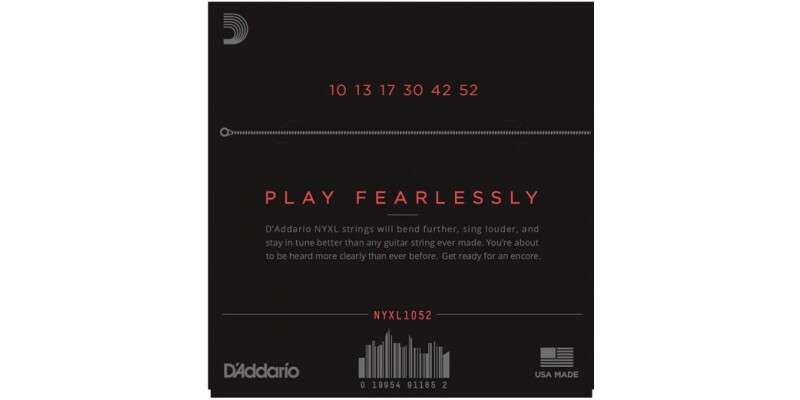 The biggest selling point of the D'Addario NYXL strings though is their tone. 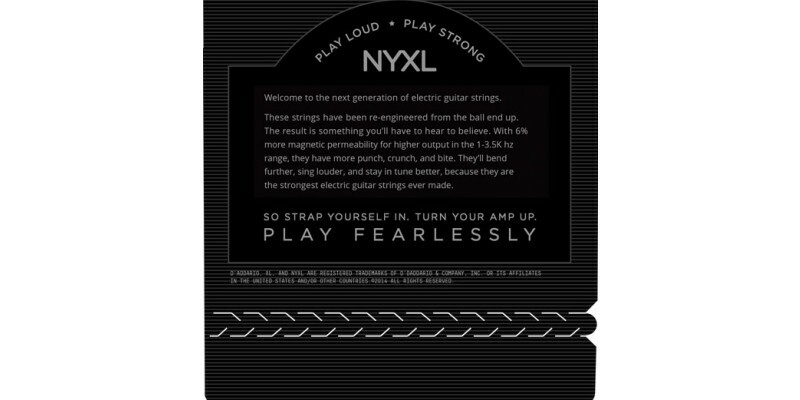 The NYXL1052 will squeeze every last drop of tone from your guitar. They are seriously punchy. Louder too. They do this by use of a reformulated nickel plated steel. This increases mid range and presence. 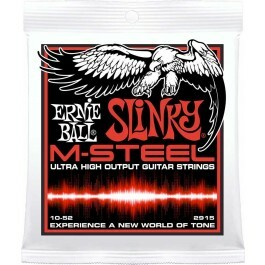 Made in the USA, this set of 6 electric guitar strings will liven up any guitar. Choose the NYXL1052 is you are looking for a hybrid gauge.